The Oscar-winning costume designer Colleen Atwood — 2010's Alice in Wonderland, Memoirs of a Geisha and Chicago as the current feathers in her costuming cap— is the brilliant wardrobe mind behind the lavish Into the Woods costume designs. But her designs for Johnny Depp's character, the Wolf, were a collaborative affair. 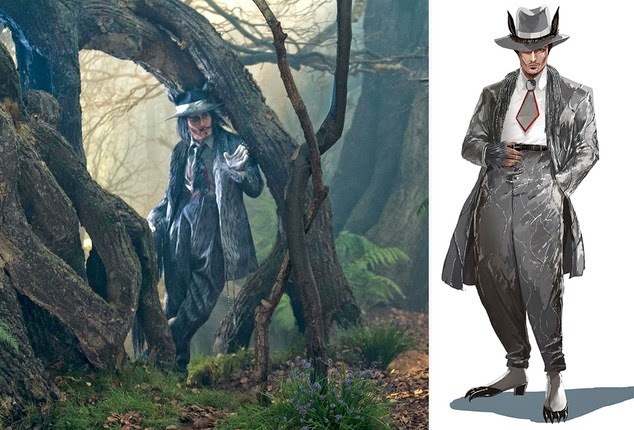 And while there have been some question marks about the lapse in fairy tale genre appropriateness to Depp's costume, I love the idea that they took the big, bad wolf trope so literally. 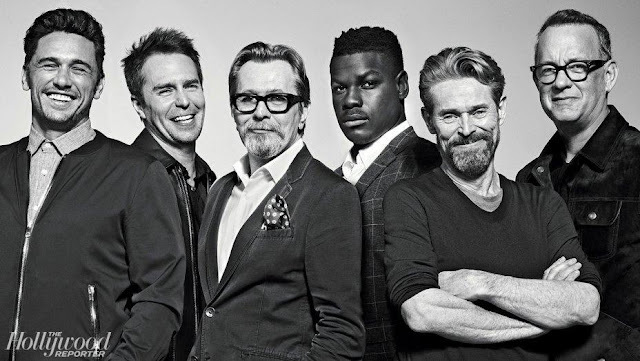 Vanity Fair asked the acclaimed costumer — who in all likeliness will get another nomination for her work in Into The Woods — how Johnny's look came to be. Atwood rationalized the look, which strays slightly from the rest of the costume aesthetic by figuring, “The idea with the Wolf is that he is the Wolf of Little Red Riding Hood’s imagination, so we didn’t want to put Johnny in a wolf suit or give him a fur collar.” Perhaps the most unifying element of Atwood’s Into the Woods costumes is the extraordinary texture applied to each piece, and in that sense, Depp’s entirely bespoke wardrobe was no different. “I took photographs of wool fur and I interpreted them into an embroidery pattern,” Atwood told us about his suit. “And I had it embroidered on really thin wool so it would move and stuff and still have a kind of fur vibe to it.” She also added more overt fur-like touches on Depp’s collar, and sprouting from the back of his suit, like a tail, out of thread by using a wigmaking technique from the ’20s. Although she largely avoided using actual fur on the costume there are a few authentic accents. “I also used really thin strips of fur that I cut in strips that are around his hat a little bit and coming out of his cuff,” she explained. Are you jazzed to see Depp's costumed character in Into the Woods? I'm worried if only because Depp's career of late has been spotty to say the least; he needs a good kick in his fur-covered derriere.